Speed: 9-wire fast draft: 510 characters per second (cps) in Fast Draft mode at 12 characters per inch (cpi). Paper feed speed: Up to 7 inches per second (ips). 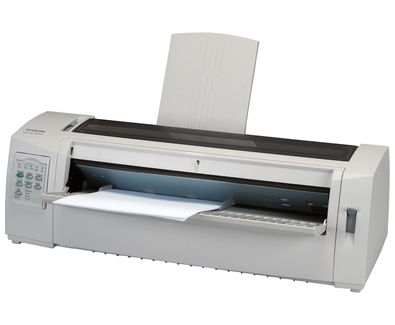 Prints a wide range of media: 1+5 multi-part forms for 9-wire, plain paper and envelopes. Prints media of varying thickness: 9-wire: Up to 0.020". Noise level: a quiet 53 dBA (front microphone NLQ mode).